Whether you are traveling from near or far, whether you desire four star quality, a quick impromptu get away on a dime, or something in between; we have a condo for you! Whether you desire water sport fun, shopping, fishing, music shows, Zip lines, championship golf courses, or leisure pontoon rides, we’ve got you covered! Lakeview Management Group, LLC is proud to be part of a job program for Stone, and Taney County residents with Developmental Disabilities. All LMG properties are cleaned and maintained by ‘Differently Abled Individuals’. 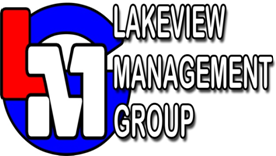 Lakeview Management Group, LLC carefully selects the properties that we manage to give the guests a variety of choices, amenities, and fair prices. We want all of our guests to feel welcome, and eager to return to stay with us on their next visit to Branson! Summer is here and the fun is just beginning at Camp Barnabas, in Purdy, Mo! Follow this link www.campbarnabas.org to see some of the exciting things going on at the camp now! ‘Whether you think you can or you can’t, you are correct’! The purpose of LMG is to provide work opportunities for individuals with Developmental Disabilities so that they can experience success!